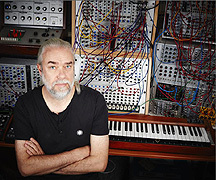 Ian Boddy is an Electronic Musician, concert performer, film composer and record label founder/owner from the UK. His innovative music label DiN recently surpassed its 50th release, a phenomenal feat in the climate of today's music industry. A prolific performer, Boddy is credited with over 100 live appearances, including several times in Philadelphia at The Gatherings Concert Series and on STAR'S END Ambient Radio. 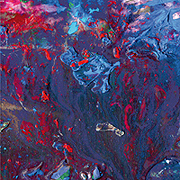 With a career spanning decades, Boddy continues to explore an ever widening reach of aesthetics and concepts - releasing both Tone Science and As Above So Below in 2016, two albums expressing an impressive breadth of styles and ideas. STAR'S END: What was the best part of 2016? 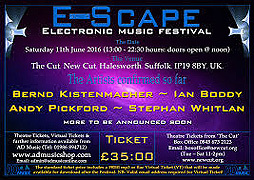 Ian Boddy: Musically, getting to play a live solo gig again at the E-Scape Music Festival in June. I hadn't played out for a couple of years so it was good to get back on stage again. Personally, it was travelling with Wendy, my partner, to Prague and Krakow. Two beautiful cities full of art and culture. STAR'S END: Outside of family and music, what interests you? Ian: I like bird watching and generally just walking in nature... gives me time to think and relax at the same time. I also like visiting art galleries, especially modern art, and discovering artists that are new to me, as well as seeing work by artists that I know. A particular highlight this year was the Georgia O'Keeffe exhibition at the Tate Modern in London - absolutely fabulous. STAR'S END: Read any good books lately? Ian: Rather than list specific titles, I'm going to mention the book publisher Twisted Spoon Press. Based in Prague they publish English language versions of Czech and East European authors and poets. I've been to Prague several times in the last few years and it's become like a second home, so it's great to read some local literature. STAR'S END: Please list your Top Five Beer Experiences. Ian: Drinking Guinness in Dublin. I used to work for Akai, and had to visit Dublin a few times a year. Made great friends with the guys from a local pro audio dealer who used to take me to some out of the way pubs. Not places you'd go to alone as an Englishman in those days but the Guinness was sublime. A bottle of Chimay Red with cheese infused with that wonderful Trappist beer - what a wonderful combination. Drinking unfiltered Czech beer in a traditional restaurant in Prague. Back to my favourite city and absolutely delicious alongside a big bowl of steaming hot Goulash. I just love the rich, strong Trappist beers. There are five of them in Belgium and one in the Netherlands. Five of them are fairly easy to get but the sixth, Westvleteren, is tricky, as you actually have to travel to the monastery to get it, as they don't brew that much of it. On arrival you knock at a little hatch in the wall, and hopefully this will open and you'll get served. On my first visit there I was disappointed to find it closed, so I attempted to shout over the wall to get some service, until I realised of course that Trappist monks don't talk unnecessarily. So I had to leave empty handed. I did return a couple of years later and got some - and it was wonderful, well worth the journey. Lastly, any time I have had a visitor who would like to try a nice traditional hoppy British ale, I take them to a pub to try a pint of Timothy Taylor Landlord, which is my favourite British beer. It never fails to impress with it's wonderful bitter hoppy taste. STAR'S END: What are you Top Five films? Alien - the original film directed by Ridley Scott, especially in it's first half looks wonderfully... well... alien, helped of course by H.R. Giger's dark imagination. Blade Runner - also by Scott (who btw was also born in my home town of South Shields). Such an influential film in how it looks as well as sounds with that wonderful score by Vangelis. Once Upon A Time In The West - I'm not really a big fan of Westerns, but this plays almost like an opera with the leitmotif's that each of the four principal characters have from one of my favourite film composers Ennio Morricone. The Big Lebowski - I have to include one comedy and I'm sure you and Jeff Towne will remember the blast we had one night watching this together. "Calmer than you are"!! STAR'S END: What is your most lasting memory of Philadelphia? Ian: Simple - the people. I've played there several times now, and I've always found both the audience and the crew that Chuck assembles to help with the concerts to be really lovely, kind hearted and helpful folk. It makes the long trip over really worth it. STAR'S END: Did Tone Science (2016) serve at all as a palette cleanser between more focused works? 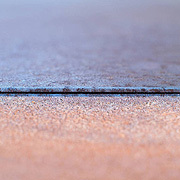 or was it just th enext logical release in the course of your artistic journey? Ian: I've been composing and releasing music for a long time now and sometimes I think, to keep things fresh, you just have to go off at a tangent and try something new and original. For me a lot of what people call electronic music really isn't, at least not the way I thought of that genre when it first emerged. The early albums I heard from Tangerine Dream and Schulze sounded like they came from another planet. So with Tone Science I wanted to create a totally vintage all analogue Electronic Music album, and with the extensive modular systems that I have, I was able to design very complex self generating soundscapes. And yes, for sure it confused some people, but I felt it was an important album to put out there. STAR'S END: Each track on As Above So Below (2016) seems delightfully from a different category of music. Do you agree? and if so was this intentional? Ian: Well, actually no, I think the album has a cohesive feel as a suite of six tracks. It's obviously very different from Tone Science and has a far more filmic, structured compositional approach. A lot of what I have learnt in composing film music for DeWolfe over the last few years has been incorporated into this album. I wanted it to be a journey with a real emotional feel. With releasing it on vinyl I had to restrict the overall length to around 40 minutes, which also forced me to be far more concise than is often the case in EM. It's certainly far more accessible than Tone Science, and I really regard it as one of my best releases that may hopefully gain listeners from beyond the narrow circles of Electronic Music fans that my music often inhabits. 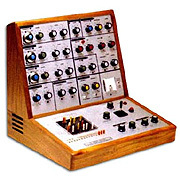 STAR'S END: What is the best synthesizer of all time? Ian: That's an even more impossible question than your film one. So, for very personal reasons I'm going to choose the VCS-3. This is purely down to the fact that it was the first synthesiser I ever came across when I walked into the Spectro Arts workshop when I was just 19 and studying (of all things) Biochemistry at University. It's not particularly built that well, and is a nightmare to keep in tune but it's such a weird instrument. I have owned one since the early 1990's, and although I don't use it on every project, it's always such fun to mess around with, and has a very unique flavour and character to it's sound. STAR'S END: What knowledge have you gained in heading the DiN record label? Ian: That running a record label is a very bad idea (LOL). Too late now I guess. It takes up silly amounts of my time in terms of a purely business to income ratio, but of course that's not why I do it. I have other more reliable sources of musical income, which is quite a luxury - as that allows me to release music that I think truly deserves to be out there in a format which I hope gives the listener a great experience, not only in terms of music and sound production, but also cover art and overall product quality. I'll keep running DiN as long as I can.